It exceeded my expectations, it was absolutely fantastic. 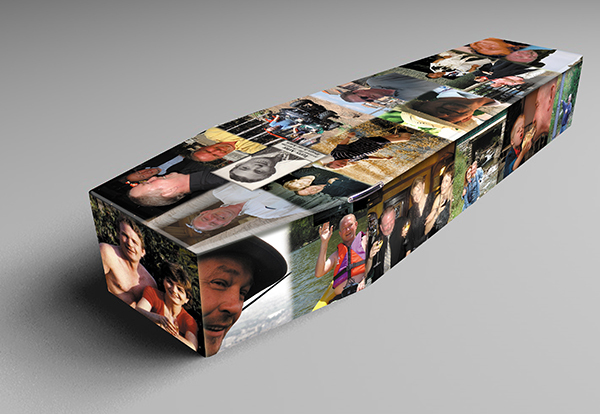 Widow Alex Arter chose a montage of favourite family photographs on a Colourful Coffin to celebrate the life of her late husband Terry. Terry was always laughing and playing jokes on people and that’s why I didn’t want his funeral to be morbid, I wanted it to be a celebration of his life, she said. I didn’t want to be staring at a ‘boring’ old coffin and this meant I could look at nice pictures of him laughing and making other people laugh, which is how he would have wanted to be remembered. 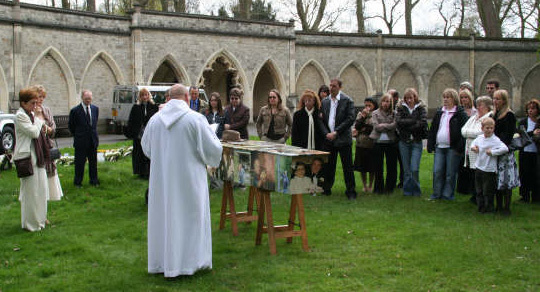 Terry, a commercial carpet planner and fitter, died aged 60, just before the couple’s silver wedding anniversary and it was the funeral director who gave Alex details for Colourful Coffins. It was a very difficult time, the funeral director gave me catalogue after catalogue but I kept saying ‘that’s not my husband’. Then they gave me a leaflet on Colourful Coffins and I knew straight away that was what I wanted, she said. With daughter Nicole, she chose a design which showed lots of photographs of Terry and the family in happier times; on their wedding day, pictures of Nicole as a child and of Terry with friends. A lot of the photographs were old-style prints, but nothing was too much trouble and they were able to scan photos in once I’d picked the best of them, said Alex. When I saw the finished coffin, I couldn’t believe it, I was so, so pleased. Nothing was impossible or too much trouble for them and I described them as like angels sitting on my shoulders. It was wonderful.